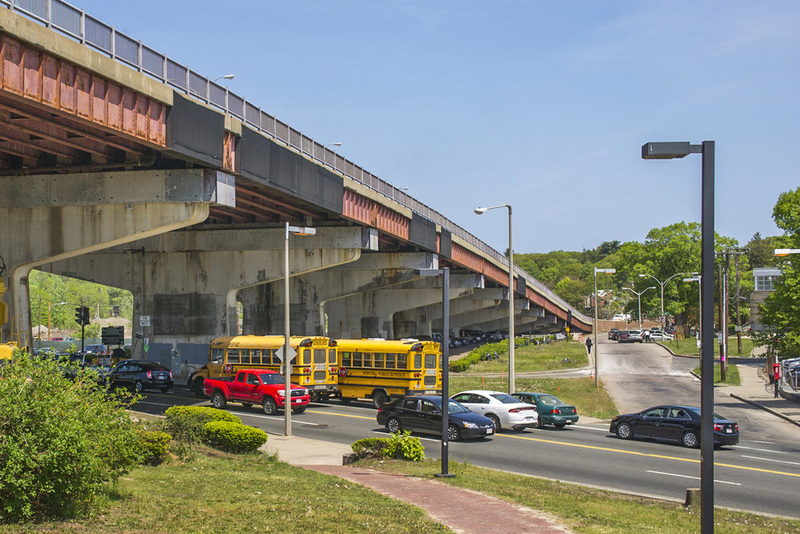 A major roadway on a bridge nearing structural failure needed to be analyzed in the heart of the Jamaica Plain neighborhood of Boston. HNTB designed the demolition of the bridge and the subsequent road redesign and reconstruction. Photos taken for GRW Engineers, Inc.
A local neighborhood was experiencing major flooding due to runoff from a nearby farm field. GRW designed a new stormwater system to address the issue. ©2016 - All images by Liz Nicol and copyright of 110dB - permission needed for any and all uses.